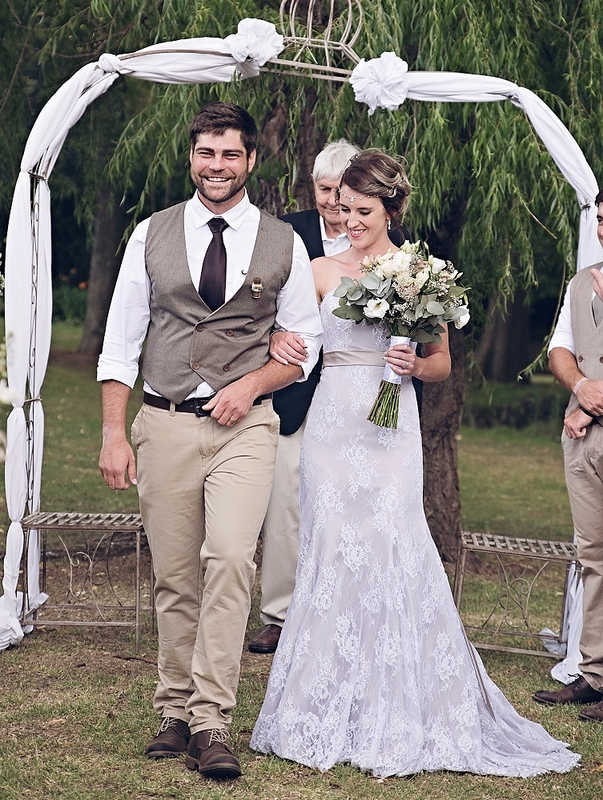 Rochelle has a petite frame which made a mermaid style wedding dress perfectly suited to her. Adding a rich oyster colour as under fabric to the delicately beaded Chantilly lace made her bespoke Maryke wedding dress unique & one of kind. 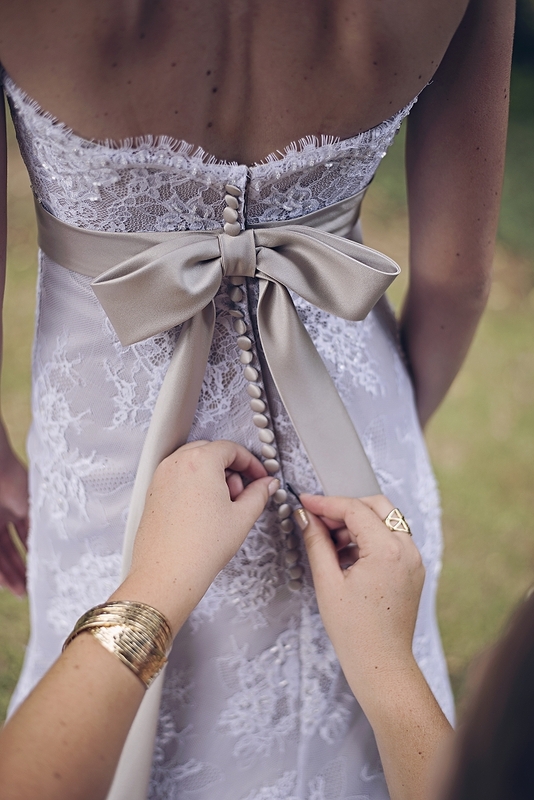 The back featured delicate covered buttons with a statement bow to complete the look.